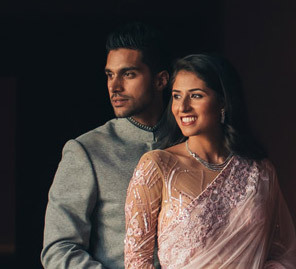 From the Punjabi ‘jago’ dance to the Gujarati ‘garba’ - Sapna and Rashpal’s Thailand wedding was all about blending their different backgrounds and customs. 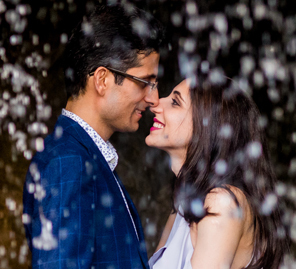 People often say that the best love stories emerge from the best friendships, and Sapna and Rashpal’s journey is no different. 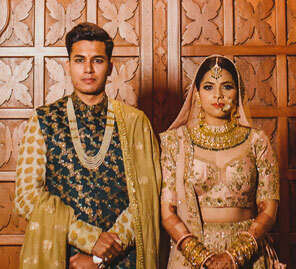 Bride Sapna shares highlights of her Thailand wedding celebrations held at the Rayong Marriott Resort & Spa which was planned by WeddingSutra Favourite Foreign Wedding Planners and those moments were captured by WeddingSutra Favorite - CoolBluez Photography. 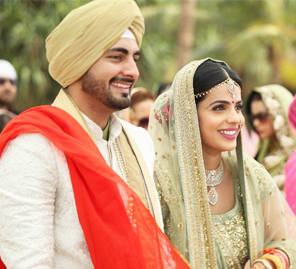 “We got married twice the next morning – the first ceremony was a Sikh one, which was followed by a Hindu one. The Sikh wedding was a beautiful event where Neha and her team managed to bring the essence of a Sikh gurdwara into the ballroom of the hotel. After a quick high tea, we hosted our beachside Hindu wedding, where, once again, the team of Foreign Wedding Planners surpassed our expectations and created a dreamy mandap with peach and pink hues with the blue sea as the backdrop."